Last week two good friends of mine made their way over from London and we wanted to take them out for a nice meal, something they would remember. Italian is too obvious, Indian restaurants are generally poor in Poland and pierogi isn’t the most exciting food in the world! So we settled on sushi. 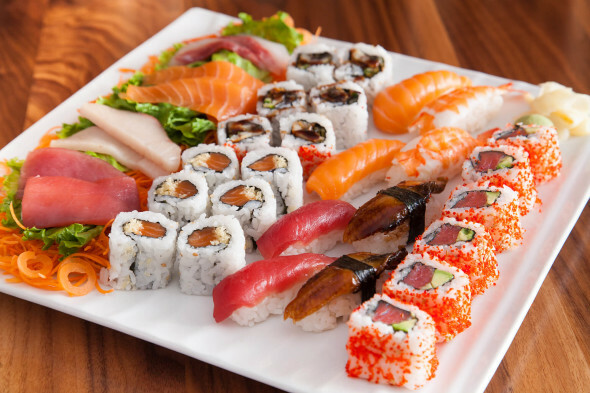 One foreign cuisine that Poland has lapped up is sushi. A few years ago, the raw fish industry took off over here and rather than just being a short-lived fad, it’s still something that’s proving popular to this day. There are a few to choose from in Poznan and we picked a decent one which we knew would satisfy. It was a very pleasant evening and everyone left with a smile on their face once the meal was finished. So we’d like to know your favourite foreign cuisine? There are plenty to choose from, so drop us a line and give us an insight.